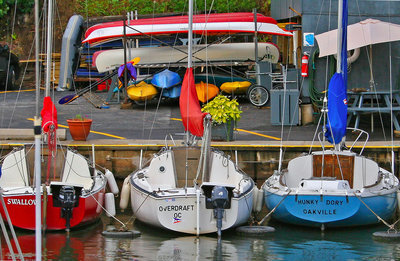 "[The Oakville Harbour is] more than a mile in length, protected by long breakwaters, affords security in all kinds of weather for the various crafts, small and large, which seek its shelter, and is a favorite resort for those who enjoy boating and fishing. At one time, ship-building was carried on [in Oakville] quite extensively, ... and our shipbuilders are still known as superior in the production of racing and leisure yachts. 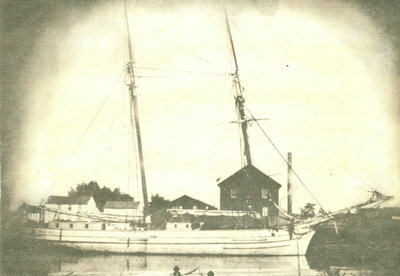 The yacht 'Canada', winner of the international championship, was built here by Capt. James Andrew, who is also designer and builder of the yacht 'Aggie', which has been so phenomenally successful in her races." 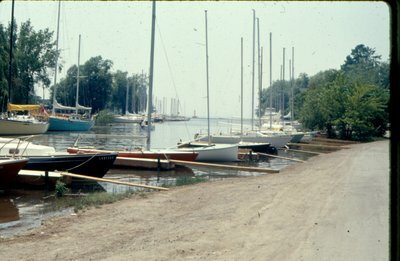 Building a harbour was one of the first things William Chisholm had to do before he could establish Oakville as a viable townsite. As in most cases where rivers enter larger lakes, a harbour had to be artificially formed by constructing two parallel piers out into the lake. Construction began on the east pier first, as the most destructive storms swept across the lake from the east. 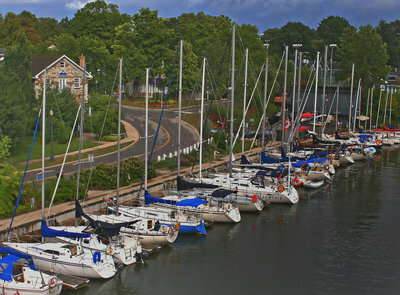 Oakville Harbour became open to shipping in 1830. 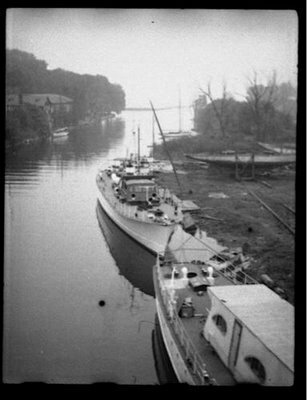 Oakville has always been famous around the Great Lakes for the construction of quality ships and schooners. By the 1900s these vessels were slowly starting to disappear due to the increase in popularity of the railways. 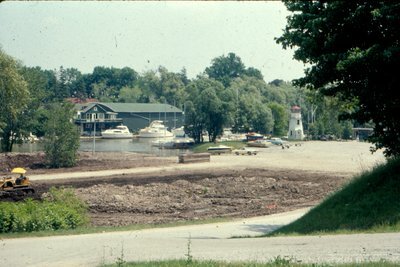 Below is a gallery of images depicting various stages of development of the Oakville Harbour over the years, as well as some more current photos of how the harbour appears today. 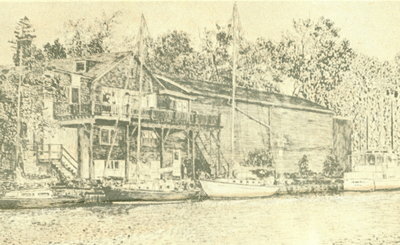 Local yachts and sailboats moored in the river after the opening of the Oakville Club in 1908. The Oakville Club sits on the site which was once William Chishom's granary from 1828-42. A more modern view of the Oakville Club, still recognizable from the faded image to the left. 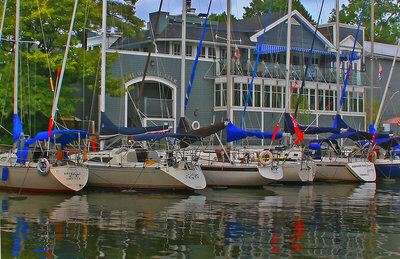 The Oakville Club provides members with the luxuries of an active lifestyle, and the added touch of a tranquil setting along the shore of the Oakville Harbour. The information on this page is credited to: Ahern, Frances Robin. Oakville: A small town (1900-1930). Erin, On: Oakville Historical Society in association with Boston Mills Press, 1981. Print. and to: Brimacombe, Philip. The Story of Oakville Harbor. Oakville, On: The Boston Mills Press, 1975. Print. and to: Commins, J.E. Beautiful Oakville. Oakville, On: A.S. Forster, Printer, 1897. Print.